I considered waiting until next week to post the list of my favorite reads of 2018, but my kids will be home, so I really don’t think I’ll get much more reading done. I’m only at 79 books completed, down from 100 last year, but I read quite a few adult books this year (still trying to weed out some books from my shelves downstairs to make room). Interestingly, I did reread a few old favorites I decided not to keep, but most of the adult books I reread this year were ones that ended up staying on my shelves. Without further ado, here are my favorite reads of 2018, listed in alphabetical order by author’s last name. (It seems the most fair way to do it 😀). Most of these actually were published in 2018, but a couple are books I just got around to this year. NOT IF I SAVE YOU FIRST by Ally Carter – This book had me from the moment Ally Carter posted the deal announcement on Twitter with the blurb that it was a gender-swapped YA Romancing the Stone set in Alaska. I mean, how could that not be amazing? But then Ally Carter came to St. Louis, and I got to hear her talk about the book and started reading it while I waited in line for her to sign it, and I’m pretty sure I finished the rest of it within a day because it was so high-stakes I couldn’t put it down. Plus, the banter between the Maddie and Logan was so perfect. Basically, the more I’m writing about this book and remembering it, I’m pretty sure it was my favorite read of the year. Funny how that happens. MY PLAIN JANE by Cynthia Hand, Brodi Ashton, and Jodi Meadows – Despite the fact I’ve never read JANE EYRE (ducks away from Charlotte Brontë scholars and fellow English majors), I anxiously awaited this book because MY LADY JANE was my absolute favorite read of 2016. MY PLAIN JANE lived up to the previous collaboration by The Lady Janies, with a crazy mix of ghosts, pop culture references, author asides, and extra romance thrown into the classic JANE EYRE. I can’t wait to see what they do for MY CALAMITY JANE, and I hope their collaboration won’t end there! ROYALS by Rachel Hawkins – I love to laugh, and this book had me laughing out loud throughout, plus I had a huge smile on my face at the end. Daisy’s voice was so spot-on, and that led to amazing banter with all of the characters, but I also just wanted all of them to keep talking. It was that sort of witty dialogue throughout. While this was a huge part of what made the book funny, the humor was also situational, so bonus points for putting the characters into crazy hijinks. And then there was the romance–just perfect! 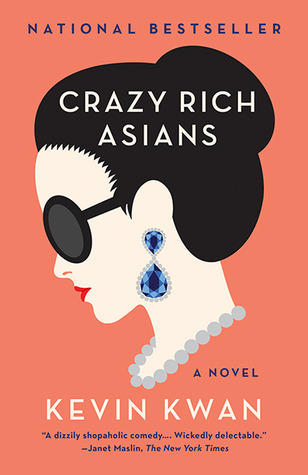 CRAZY RICH ASIANS trilogy by Kevin Kwan – So I’m totally breaking my tradition here by including an adult series, but I have good reason. It’s been years since I’ve read anything new by an adult author. I read new middle grade and young adult authors all the time to stay abreast of the market, but the only new books I read by adult authors are by my old favorites, and I’ve even stopped reading some of them. But when I saw the preview for the movie version of this book, I thought it looked great, and as everyone knows, the book is always better than the movie. That definitely holds true in this case, although I loved the movie too. I had to keep reading through the rest of the series to see what happened to all of the characters, and I found it highly entertaining. It sort of reminded me of reading historical romance set in regency England, with all of the class differences, but a very different setting and a lot of emphasis on food. I am maybe the least adventurous eater on the planet, but I do love to read about it :). Also, if you have only seen the movie, I recommend you do read the books. 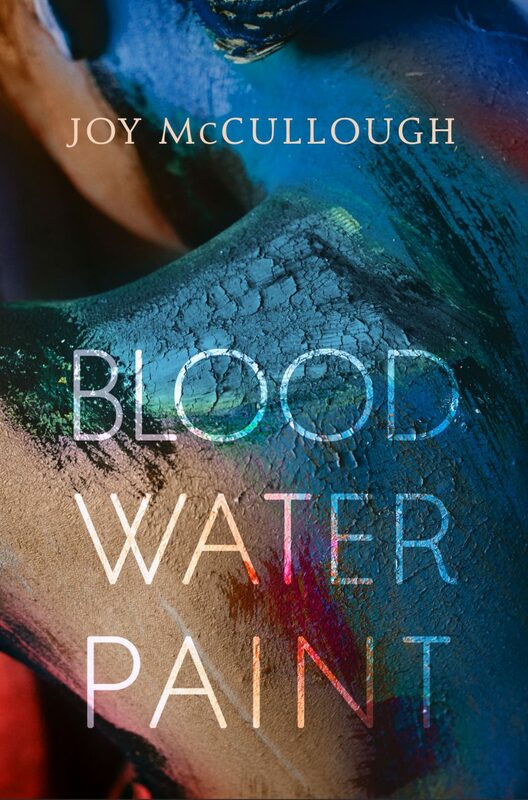 BLOOD WATER PAINT by Joy McCullough – I read this book in a single day and then was so compelled by the story of Artemisia Gentileschi, a girl who lived in seventeenth century Rome, I had to go look up more about her life. The verse, the art, the structure, the important message–it all merges together to make this book a must-read. Obviously many others agree, as it is winning and being nominated for awards left and right! STORY THIEVES: WORLDS APART by James Riley – Do I have a book by James Riley on my list every year? Pretty much and for good reason. Every single one of them is amazingly creative, hilarious, and leaves me wanting more. Sadly, WORLDS APART was the finale of the STORY THIEVES series, but James Riley has a new series coming out. I’m sure it will be equally fantastic. If you haven’t read the STORY THIEVES series, WHY NOT?? FEARLESS by Kristin Smith – This third installment in Kristin Smith’s Deception Game series is a fast-paced read that kept me anxious to find out how Sierra, Trey, and Zane would survive–and who they would end up with. If you haven’t read this series, start at the beginning with CATALYST and move on to FORGOTTEN before you pick up FEARLESS. Kristin writes jaw-dropping twists, swoon-worthy love interests, and page-turning action. HERE LIES DANIEL TATE by Cristin Terrill – It’s tricky to pull off a successful unreliable narrator, but Cristin Terrill does it masterfully. In fact, the main character in this book flat out says he’s a liar, and I still wanted to believe he was telling me the truth. 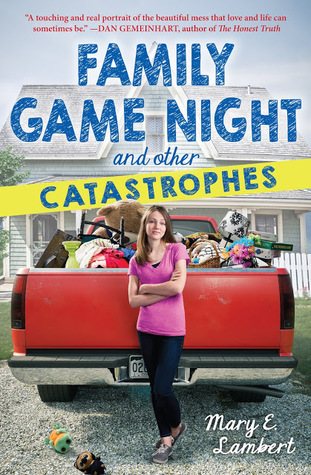 The mystery, the twists, the family dynamics, and the ending–this book kept me clicking through pages non-stop, thinking I knew how things would go but not entirely sure and not entirely right either. I’m pretty good at figuring things out, so I love it when an author can fool me. NOTHING BUT SKY by Amy Trueblood – I love it when a fantastic story merges with learning something I never knew. That’s what happened for me with this wonderful historical. I can’t even imagine these young women who dared to walk along the wings of planes to entertain crowds in the 1920s with death-defying stunts. Amy Trueblood tells the story of Grace Lafferty gorgeously, with interesting historical tidbits sprinkled into her quest to reach the World Aviation Expo. Plus there’s romance. It’s one you don’t want to miss! EARTH TO DAD by Krista Van Dolzer – I loved this story of friendship and family set in futuristic Earth. More than anything, Jameson longs for a best friend, and when Astra moves in, he has that opportunity. I also love how well this book captures the feeling of maybe that’s so vital for middle grade readers. There’s an ever-present hope within the book, even when Jameson and Astra are facing some very tough truths. So well done. I can’t believe I read more adult books than middle grade! But unsurprisingly, the bulk of my reading remains young adult. What were your favorite reads in 2018? Do we share any of the same? I’d love to discuss them with you! 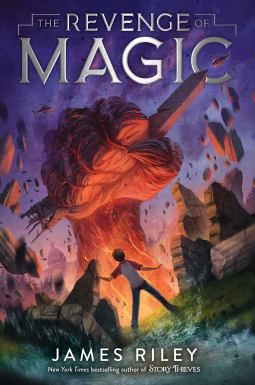 Today I’m thrilled to have my ten-year-old join me for a review of book seven in MMGM founder Shannon Messenger’s KEEPER OF THE LOST CITIES series, FLASHBACK. We were especially excited about the release of this book because Shannon visited St. Louis last week, and we got to see her in person. I met her once before, when she came through for EXILE, the second book in the series, but it was my son’s first time meeting her, and he was ecstatic. I would share a picture–because he and his friend even went in costume and it was awesome–but I don’t post pictures of my kids publicly, so sorry. However, I am going to let my son take the lead on this review, because while I love these books, he has far surpassed me, reading the earlier books at least three times now. But first, here’s the cover and description, so if you haven’t read the other books in the series, SPOILERS AHEAD! On to the review, in the words of my ten-year-old super-fan. I did ask him to follow my five things format :). This book is amazingly awesome, complex, and adventurously fun. But, warning: a lot of romance! Noooo! Well, it’s still really good. Here are the things I loved most. 1. The alicorns – They are so energetic and exciting, and they’re always willing to help out Sophie and her friends just when they need them most. There’s some exciting drama with the alicorns in this book and I’m excited to see how it works out in the next book. 2. The Ballad of Bo and Ro – Once you read this book, this sentence will make a lot more sense. Keefe makes up this funny song, even though you don’t get to actually hear it, about the ogres Bo and Ro. 3. The butterbursts – Even better than custard bursts, mallowmelt, and rifflepuffs combined, found only in the secret teacher’s lounge of Foxfire, I would love to have these gooey treats and choose it over any dessert. 4. Tarina – A really cool and excellent bodyguard – a troll bodyguard – that helps Sophie with a tricky problem, Tarina is an awesome addition to FLASHBACK. 5. Meeting Shannon – Shannon Messenger is really, really nice. She loves cats and actually has a cat named Marty like Sophie in the first book. She hides cool meanings in the book, like Fitz’s name means “son of the king,” Sophie means “wisdom,” and Keefe means “good-looking.” I love what she said about how you should never let anyone tell you what you can’t read. Overall, I love her books, and I hope you read them. So there you have it, a review from my ten-year-old. There are at least two more books expected in this series, although Shannon said at the event that a tenth is a possibility. After the cliffhanger at the end of FLASHBACK, we’re already anxious for book eight in the Mason house!